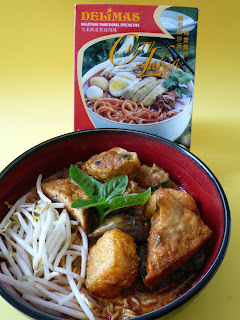 Yum Yum... Curry Laksa... Yum Yum..
Eh, that Yong Tau Foo bikin sendiri ke..? Woo, my favourite tauhu pok. Hi Cat, yalah..Yong tau foo bikin sendiri. Sini cannot find ready made YTF lah. buat sendiri? alamak. how lah? i pun beli curry laksa but insisted tht il only make it when i find the tauhu. PJ, suruh Michael take you to Asian store this weekend then bolih lah masak the Laksa. Envy, thanks for stopping by here. Which part of Cananda are you at? Gert, is that your home made taugeh (beans sprout)? Tak ada lah Zue. Mana my home made taugeh panjang macam tu. I beli from the new Asian store dekat rumah. *off topic* I'm in Abbotsford BC .. I tried with milk in my curries, but my family just don't buy them. End up I have to finish it. They like their curry with coconut milk and worry about the cholesterol later..
Ms Envy, juahnya you tinggal !! I remember you used to live kat CA kan? I pun moved from there not too long ago. Nonya, coconut milk taste good in everything. Be it kueh or curries. Try with soy milk and see if your boys likes it. Your laksa looks good leh makes me drooling. 2molo lunch going to eat Curry Laksa. Gert .... I always have fear visiting your blog. I'll end up with either a growling stomach or find everything that I subsequently eat here tasteless. Wish our live-in-same-town days are now! Sue, is so easy for you. 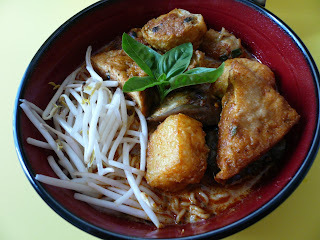 Just go to any kedai kopi and you can 'ta pau' the curry laksa. For us susah sikit as we have to cook it. Lucky we have the Laska paste now. 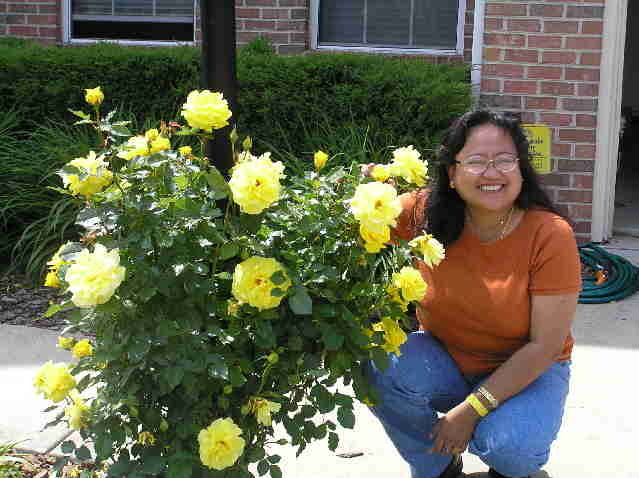 Rita, looking forward to your visit. I too wish that all of us can live near to each other. Can you imagine us all staying nearby to each other. fan-C, aiyoh..your mind ah !!! U can call me Wen Wei.